The Rolex Submariner Ref. 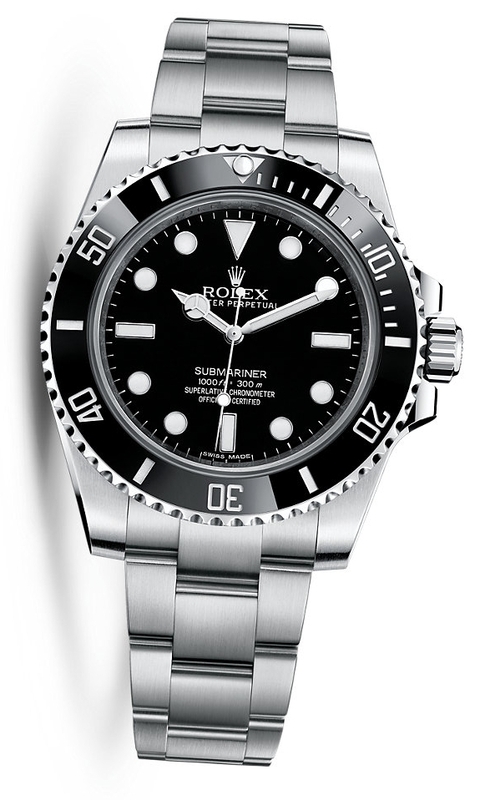 6204, considered to be the first Rolex Submariner ever ever produced. Photo courtesy of Bob's Watches. 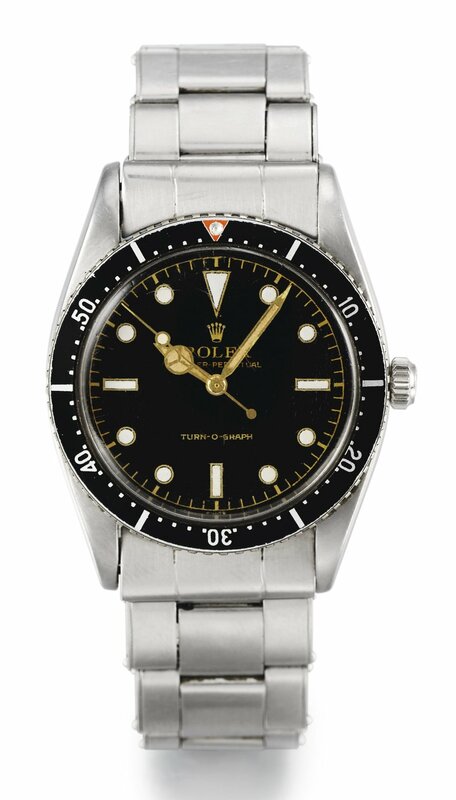 Imagine a time when Rolex wasn't associated with dive watches. It's hard to do isn't it? The ubiquity of Rolex and the Submariner is a force of horology is so powerful, that imaging a time before it is almost impossible. An early Rolex advert featuring Mercedes Gleitze. Photo courtesy of Rolex. Rolex had been involved in sports and water-resistance since the 1920s when Hands Wilsdorf created the Oyster case. The Oyster case rose to prominence as the first waterproof watch thanks to its technical achievements and numerous savvy marketing campaigns from Wilsdorf. Jewelers were given fish bowls to fill up and place the watch in to prove it was waterproof and having Mercedes Glietze wear a Rolex Oyster round here neck during her vindication Swim across the English Channel was a stroke of genius. In many respect, Glietze would be Rolex's first ambassador/friend of the brand and extolled the virtues of the Oyster case in interviews and in advertising. Along with the cases of the Cartier Tank and the Jaeger- LeCoultre Reverso, the Oyster is one of the most recognizable watch cases ever made. In the 1930s and 1940s, Rolex supplied movements and sometimes cases to Panerai, who in turn supplied the Italian Navy. These watches were branded Panerai, but they could be considered the first Rolex made dive watches. The problem with the term 'dive watch' is that it's very vague. What defines a dive and what defines a dive watch? The Panerai Ref. 6152 doesn't look like a dive watch and lacks a lot of the features associated with the term. But it was worn diving, and it is a watch. The hour markers on the Panerai 6152 were large but they weren't great for exact timing. Without a rotating bezel, there was no way of marking elapsed time underwater. The Rolex made, Panerai Ref. 6152/1. This is larger than the standard Ref. 6152 and came fit either the Rolex Caliber 618 or the Angelus Caliber 240. Photo courtesy of Sotheby's. It is impossible to know whether the Blancpain Fifty Fathoms or the Rolex Submariner was first, but both are incredibly important. A vintage advert of the Rolex Ref. 6024. It may matter to some, but I don't really care about who was first to create a dive watch. Blancpain made their watch and Rolex made their watch. Both were released within a few months of each other. In my opinion, the Blancpain Fifty Fathoms design is more original as the Submariner was more a nautical evolution of the Turn-o-graph than a new watch. The first Rolex branded dive watch was the Submariner Ref. 6204. Rolex was still decades away from printing lines of prose onto their watch dials so this only reads ROLEX OYSTER PERPETUAL SUBMARINER. Depending on the dial, it sometimes didn't even say Submariner. There were two dials made for the Ref. 6204: a matte black dial and a black honeycomb dial. If you lined the Ref. 6204 up with a Ref. 6202 Turn-o-graph on the left and a modern Submariner on the right, it would be like looking at the skulls of Neaderthanal, Cro Magnon and Homosapien. The differences between each are distinct, but it's easy to see the evolution of the design over time to meet the changing needs of its environment. (Anthropologists, please don't crucify me for oversimplifying 200,000 years of Human Evolution). Unlike future watches, the crown on the Turn-o-graph and the Ref. 6204 is small and unguarded, prone to bumps and knocks. The rotating bezel first seen on the Turn-o-graph is there however it has lost the individual minute marks. Two versions of the Ref. 6204 bezel exist, one with the 15 divers marks seen on future versions, the other with not. The case on the Ref. 6204 has grown by 0.5mm since the Ref. 6202, but has yet to evolve to the larger 40mm size of the modern Submariner. The familiar mixture of circular and rectangular hour markers are present on both the Ref. 6202 and 6204 but they are eons away from having larger, metal surrounds and they are still made from radium as opposed to Super-Luminova. When released, the Ref. 6204 had thin pencil hands with a lollipop seconds hand with the lollipop right at the tip. However due to Rolex's service policy of REPLACE EVERYTHING, it is very common to see these watches with the more familiar Mercedes hands. The Rolex Submariner Ref. 6204. Photo courtesy of Bob's Watches. Despite these differences, these watches are linked and can be linearly placed into the timeline of the evolution of Rolex watches. Inside the watch is the Caliber A260, a self-winding movement. The rotor lacked the so-called 'butterfly' design, with sections cut into the rotor, seen on some Rolex calibers up until the mid 1960s. The Ref. 6204 was produced for just one year, 1953-1954, before being replaced by the Ref. 6205. The Ref. 6204 may be long gone, but its certainly not forgotten. Thank you to Bobswatches.com for providing me with photos of the Ref. 6204.